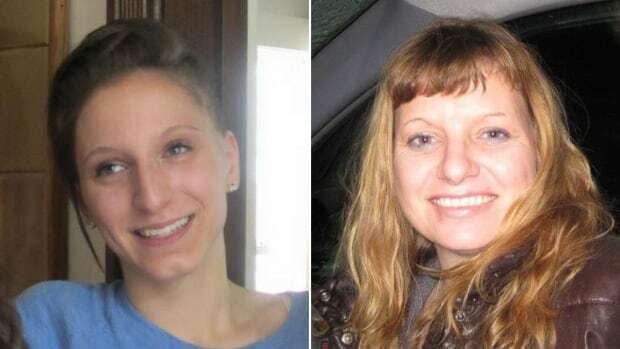 Canada must stop sending Aboriginal women to prison! Canada is addicted to the incarceration of Aboriginal peoples, and in particular Aboriginal women. According to a recent report by Howard Sapers, the Correctional Investigator of Canada, for the first time ever, more than 25% of inmates in Canadian federal prisons are Aboriginal: “In federal corrections, 25.4 per cent of the incarcerated population are now of aboriginal ancestry.” Sapers describes the number as “quite shocking.” No one is shocked. None of this is new. Nationally, 3723 of the 14624 prisoners are Aboriginal, but that doesn’t tell the real picture. In the Prairie provinces, 48.62% of prisoners are Aboriginal, and in the Pacific provinces, 31.09% of prisoners are Aboriginal. For women, the situation is predictably worse. Of 683 women prisoners, 248 are Aboriginal. Over 36% of women prisoners are Aboriginal. None of this is new. The State need to cage Aboriginal women is longstanding and publically acknowledged. Study after study, book after book has said as much. The State has tinkered with criminal codes, settled with individual prisoners, given lip service to the ongoing ravages of colonialism. All the while, the State continues to disappear Aboriginal women and girls into prisons where they are routinely tortured. The line of incarceration of Aboriginal people, from 1996 to 2016, is one of almost unbroken ascendance. Thirty years ago, Aboriginal people comprised 10% of Canada’s Federal prisoners. Then the numbers began rising and never stopped: 1996-1997,14.6%; 1997-1998,15.7%; 1998-1999, 16.9%; 1999-2000, 17%; 2000-2001, 17%; 2001-2002, 17.6%; 2002-2003, 18.3%; 2003-2004, 18.5%; 2004-2005, 18.2%; 2005-2006, 18.7%; 2006-2007, 19.6%; 2007-2008, 19.6%; 2008-2009, 19.7%; 2009-2010, 20.6%; 2010-2011,21.5%; 2011-2012, 22%: 2012-2013, 23%; 2013-2014, 22.8%; 2014-2015, 24.4%; 2015-16, 25.4%. Year by year by year, the State has stolen Aboriginal women’s lives. Aboriginal women are “over-represented” in Federal prisons as they are in maximum security and in solitary confinement. Aboriginal women are the citizens of over-representative democracy. It’s time, it’s way past time, to end the carnage. Canada must stop sending Aboriginal women to prison! 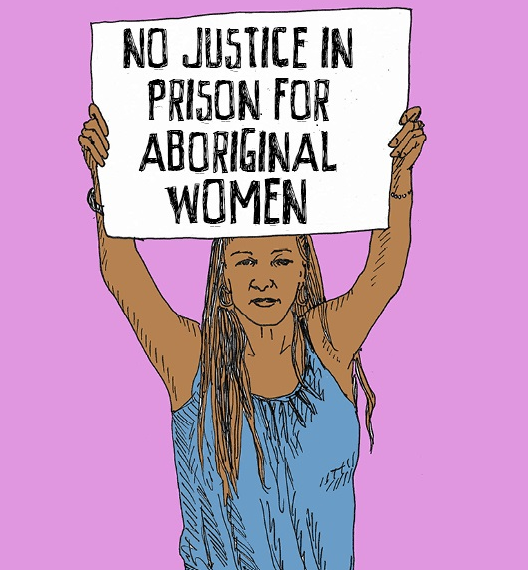 Stop sending Aboriginal women to prison! Canada’s federal prisons hold more prisoners than ever before. The provincial prisons are also full to the brim. What’s going on? Crime is on the decline. The White prison population is also in decline. Last Tuesday, Canada’s Correctional Investigator Howard Sapers issued his annual report. The picture is both grim and not surprising. There’s a `boom’ in prisoners, and it’s made up of people of color. Aboriginal people make up around 4 per cent of the population, and close to 25% of the Federal prison population. Black prisoners are “over-represented”, especially in maximum-security prisons. Black prisoners are also “over-represented” in solitary confinement. Black prisoners disproportionately face the “use of force” from guards. Black prisoners also face discrimination in prison jobs employment and in parole release. Meanwhile, the prison staff remains overwhelmingly White. The Fear of a Black Planet continues to this day. To no one’s surprise. Why are Aboriginal women being imprisoned at such high, and higher, rates? What happens to Aboriginal women when they enter into the prison system? Aboriginal women are “over-represented” in solitary and maximum security. Force is used on Aboriginal women prisoners at an extraordinarily high rate. But the highest rate is that of self harm. From 2011 to 2012 Aboriginal women accounted for almost 75% of self-injuries among women prisoners. More often than not, self-injury results in charges being filed, solitary confinement, and security reclassification. If an Aboriginal woman hurts herself, it’s a crime. Instead of help, counseling, anything supportive, she’s sent into the hole.